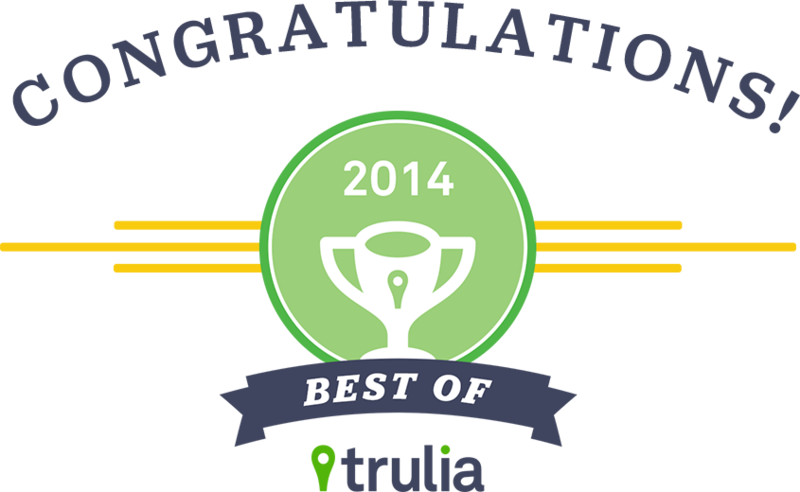 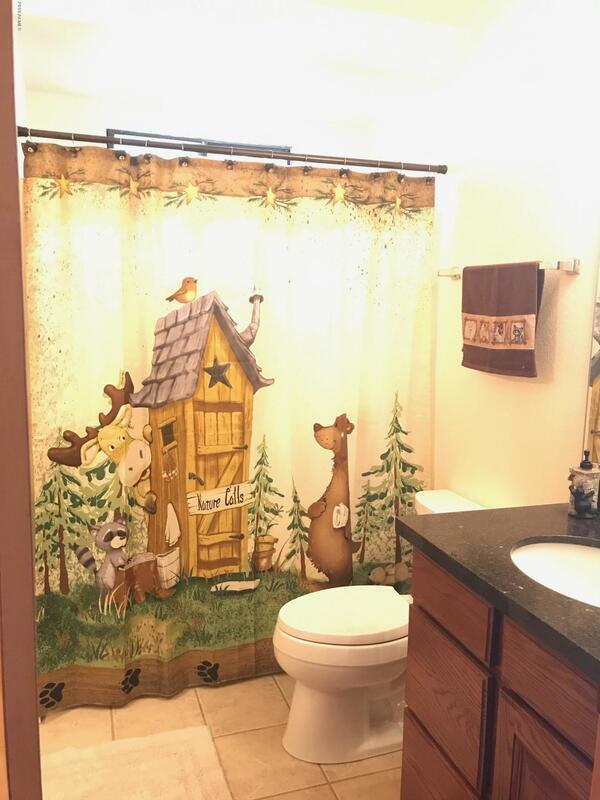 AS SEEN ON HGTV SEASON 6! 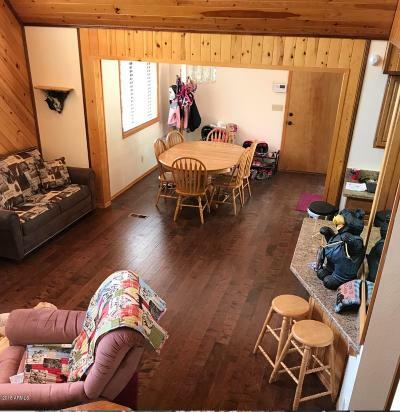 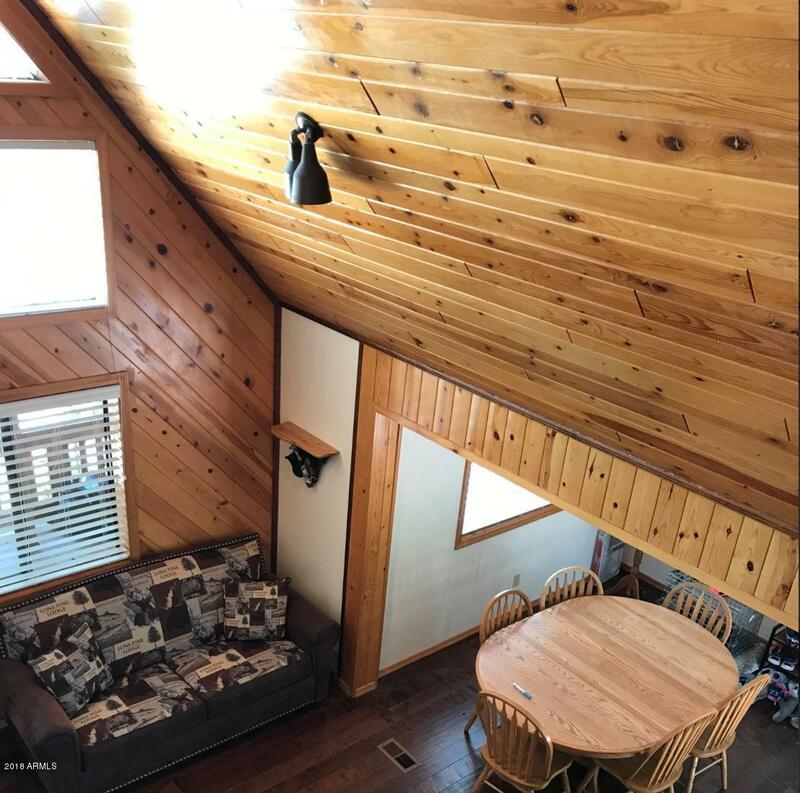 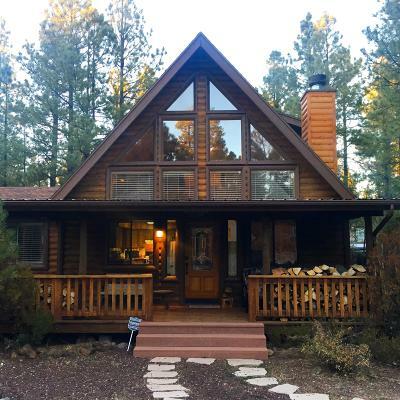 Here is your chance to vacation inside this gorgeous cabin that was featured on log cabin living! 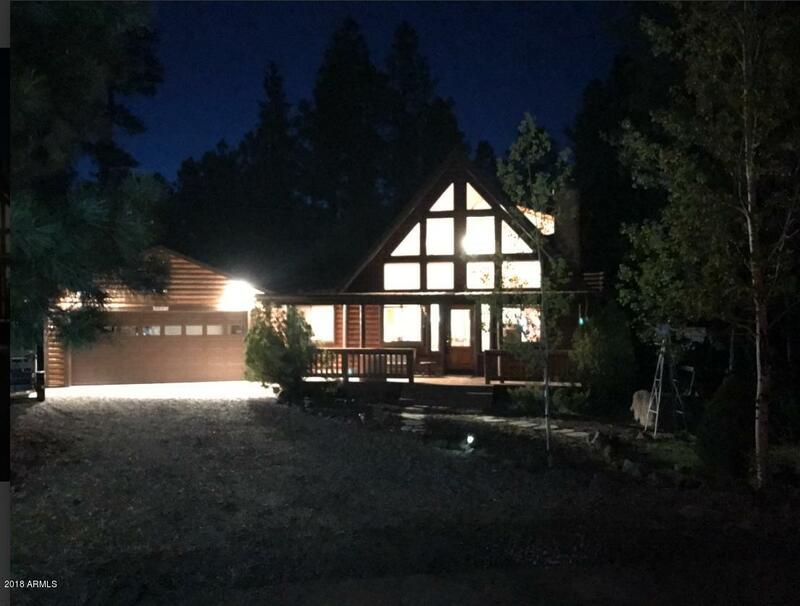 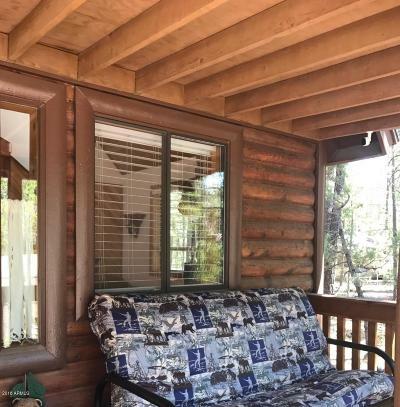 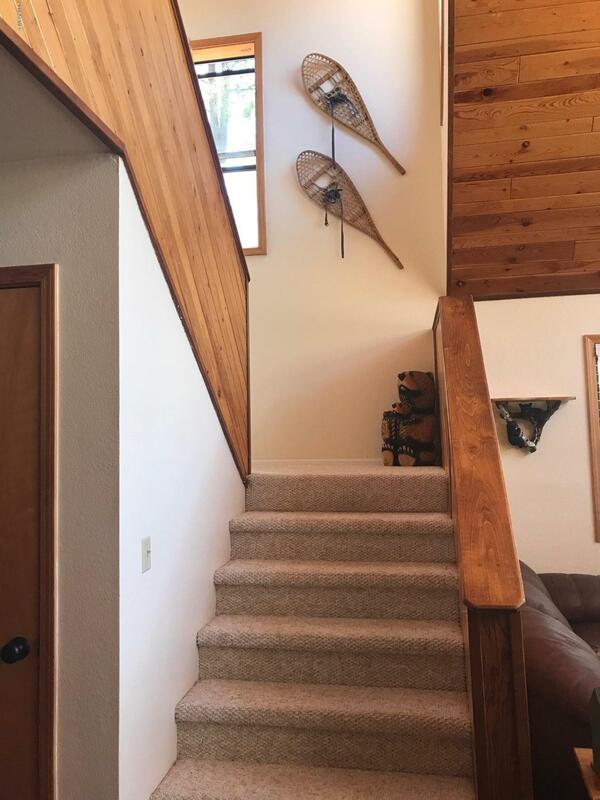 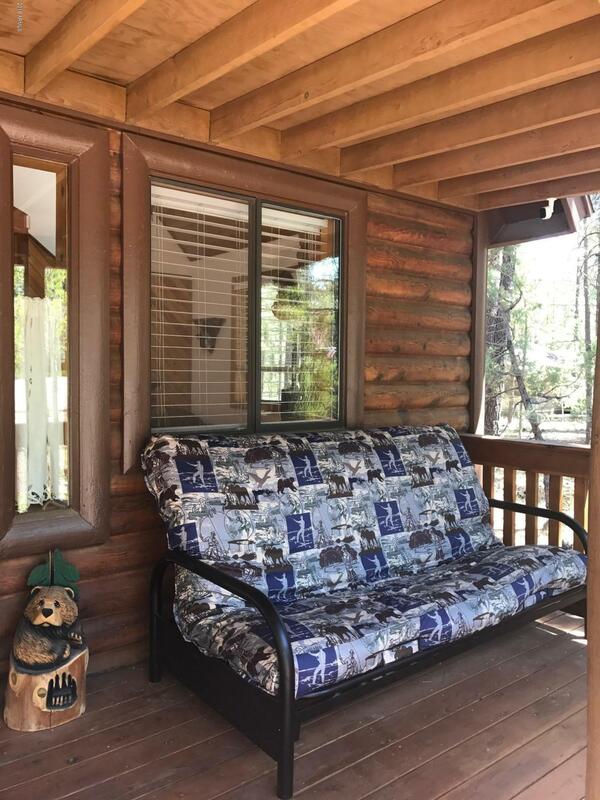 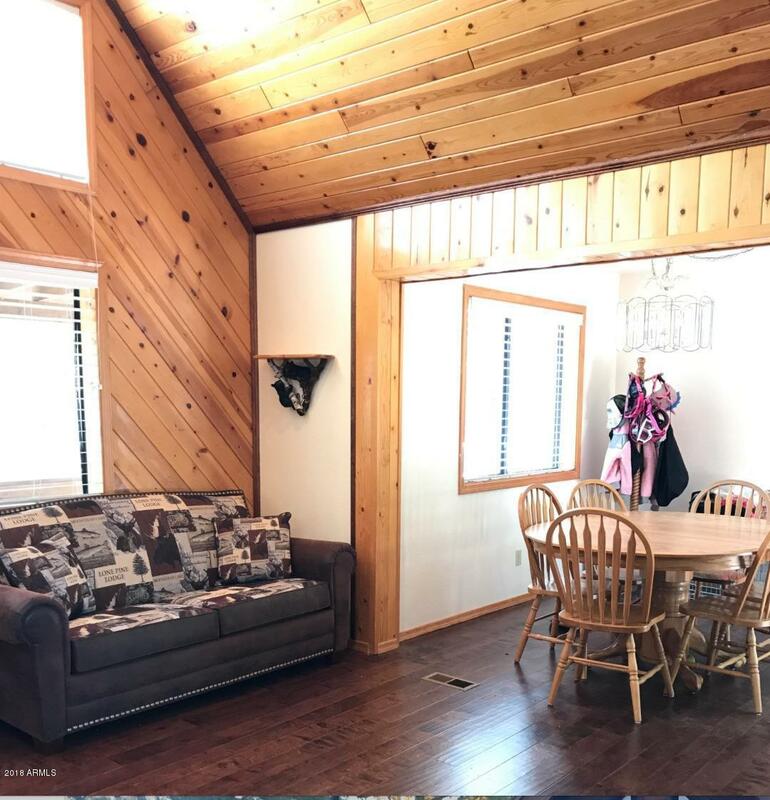 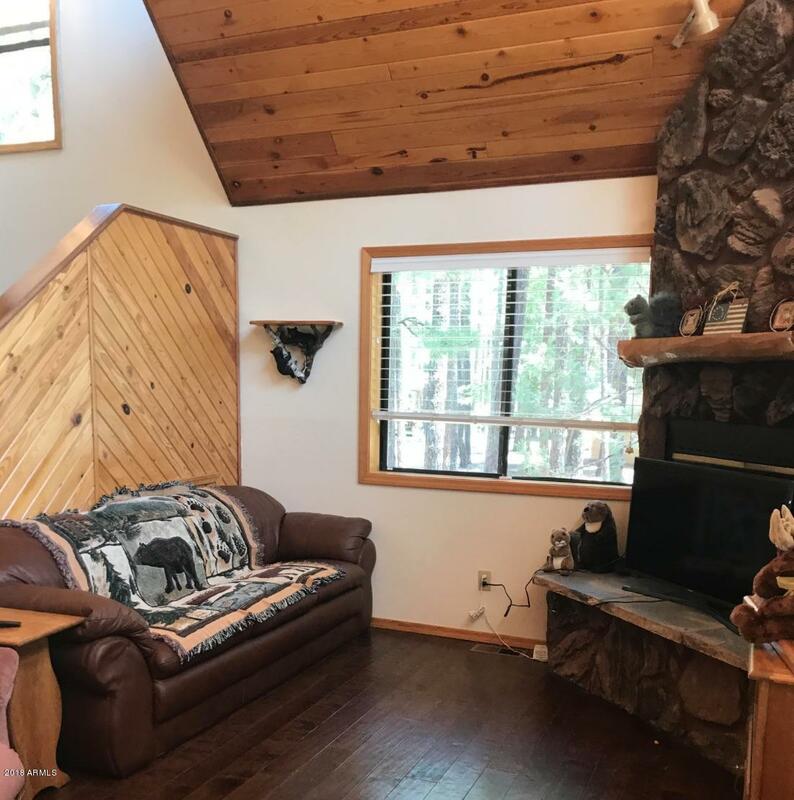 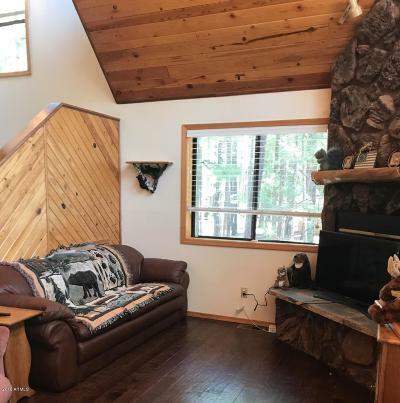 Welcome home to this gorgeous A Frame Cabin in Pinetop Lakes CC Beauty is nestled in the trees on a beautiful cul-de-sac lot. 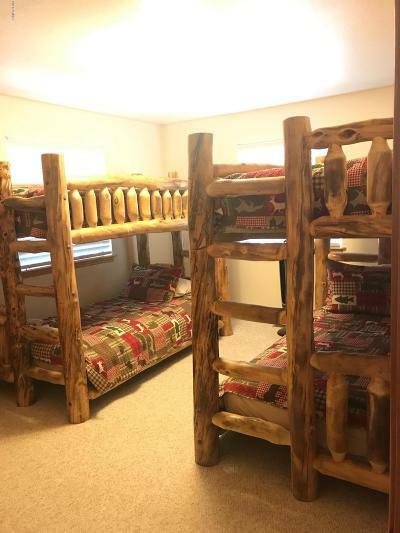 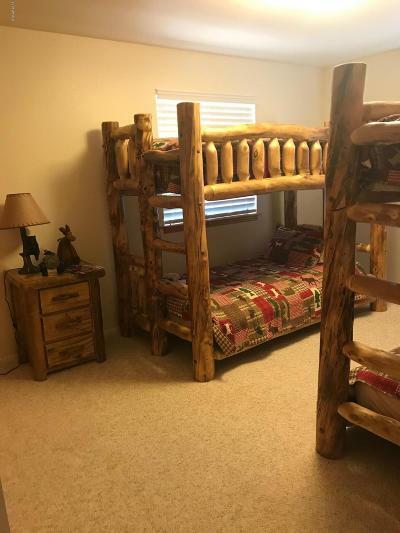 This home sleeps 12 people. 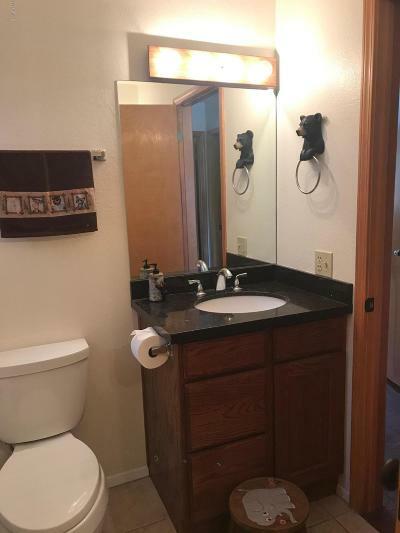 There is a large front and rear deck. This home features new wood floors in the great room, kitchen & dining, granite in kitchen and baths, recently painted inside & out. 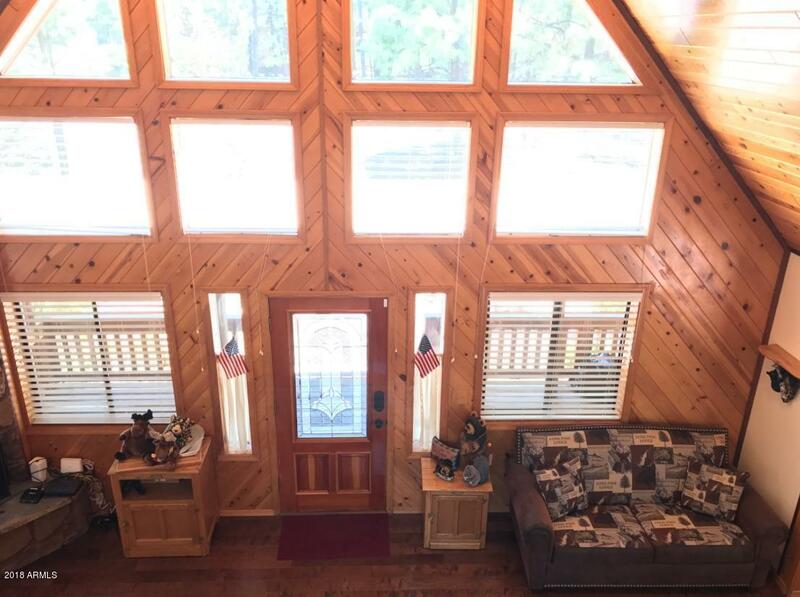 There is a spacious master suite upstairs. 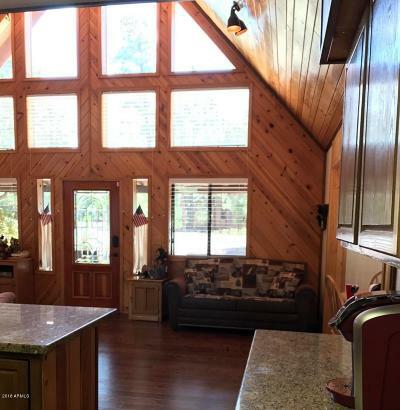 Enjoy your view outside from the floor to ceiling windows and stone Fireplace. 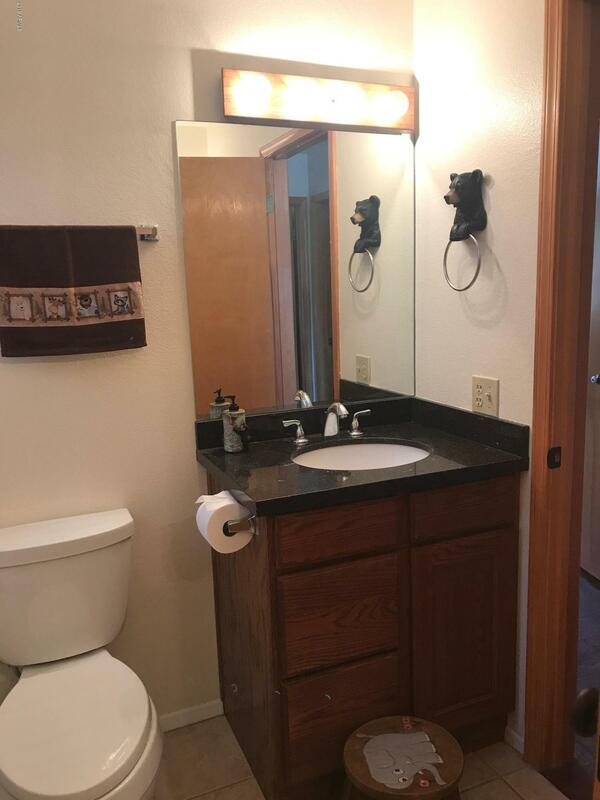 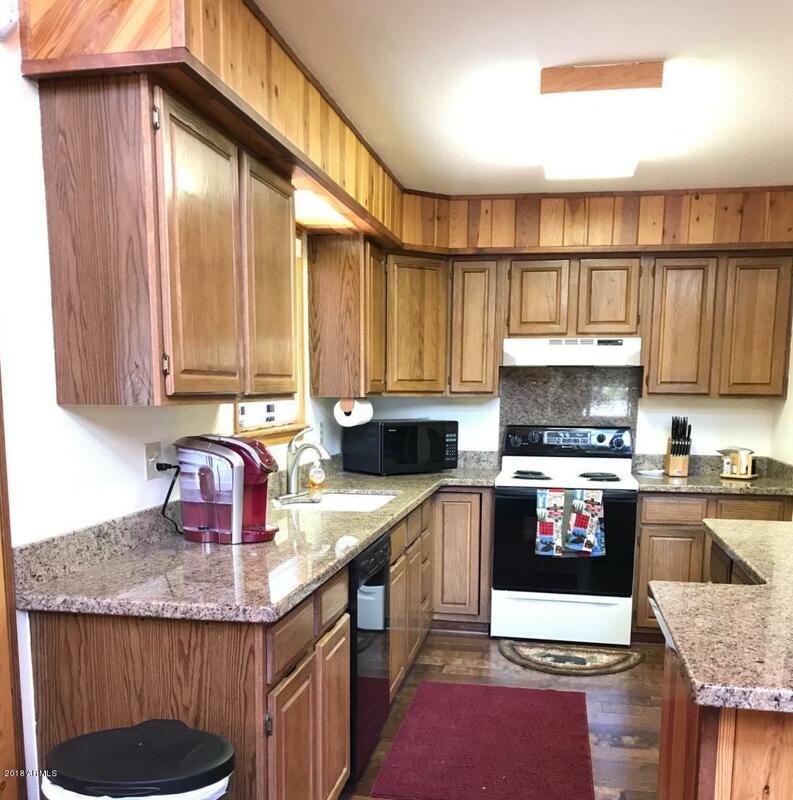 There is also an oversized 2 car garage with work bench and storage cabinets. 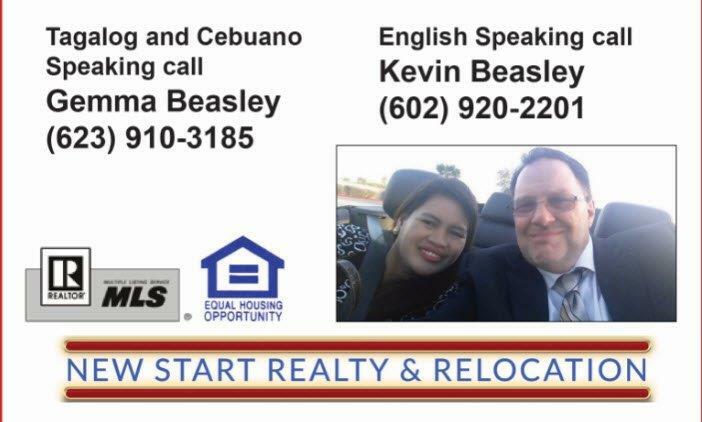 There is 2 smart Tv's in the home, as well as Wifi and cable.